At the opening of the Mobile World Congress in Barcelona today, Broadcom announced development of a family of smartphone platforms, which the company has designed to enable handset manufacturers to produce mid- to low-tier handsets optimized for the Android Ice Cream Sandwich operating system. The platforms will include a range of new single/dual-core application processor Systems on a Chips (SoCs) integrated with HSPA/ HSPA+ modems, along with a family of ICs that provide Bluetooth, WiFi, GPS, and Near-Field Communications (NFC) connectivity. In a preview of the announcement, Bob Rango, EVP and GM of Broadcom’s Mobile and Wireless Group, emphasized the need to utilize unlicensed spectrum to offload smartphones from cellular networks, in order to reduce the strain of increasing video consumption in mobile devices. On February 15, Broadcom had announced the BCM4334, which supports dual-band 2.4GHz and 5GHz 802.11n WiFi concurrent with Bluetooth (BT) 4.0, including capabilities for Wi-Fi Direct and Wi-Fi Display. Rango said that through a combination of the 40nm LP process and extensive use of sleep power modes, the company has been able to reduce power consumption for the combination WiFi/BT by 30-50% from the previous generation device. He expects that the phones with the BCM4334 will appear in the 2nd quarter of this year. In the February-15 announcement, Broadcom also announced the BCM43241 for tablets and "superphones", which supports 2x2 Multiple Input Multiple Output with 20MHz or 40MHz 802.11n WiFi channels, along with Bluetooth 4.0 and an FM radio on a single SoC. The first 40nm LP smartphone processor in Broadcom's set of MWC announcements, for lower-tier handsets, is the BCM21654G. The BCM21654G integrates a single 1-GHz ARM Cortex A9 processor, with a 7.2/5.8 Mbps HSPA modem, and low-power VGA video support with a 7GFLOP Graphics Processor (GPU). Rango said that this new chip will replace the previous generation SoC, which powers the Samsung Galaxy Y Series of Android Gingerbread phones that are currently popular in India and Asian market, and also powers Samsung Bada OS phones. The BCM21654G will enable these low-end phones, which typically sell for US$150 unsubsidized, to now run the most advanced version of the Android operating system. Moving up in performance, the BCM28145 integrates dual ARM Cortex A9 cores running at up to 1.3GHz clock rates, in an architecture that increases graphics performance to 24GFLOPS, with Broadcom's VideoCore multimedia engine. The BCM28145 provides an integrated HSPA+ release-8, category-14 modem supports 21Mbps download, 5.8Mbps upload and Class 33 EDGE support. Rango said that the BCM28145, which will be manufactured in phones set to appear later this year, is equivalent to the two-chip combination of the Texas Instruments OMAP-4 processor and Infineon baseband chip, in Google's current flagship Galaxy Nexus phone. The top of Broadcom's new line of processors is the BCM28155, which takes the BCM28145 and improves video performance from 720p to 1080p at 60 frames per second (fps). A key to the performance, says Rango, is the VideoCore processor, a capability which the company acquired through their purchase of Alphamosaic Limited in 2004. Rango foresees the BCM28155 lowering the price point of smartphones that currently cost $500-$600 unsubsidized, running Android Ice Cream Sandwich, to the $250 to $300 level within the next year. 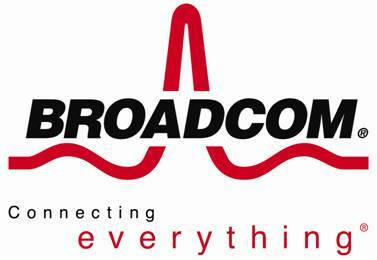 Broadcom has added the capability for Android to support dual Subscriber Identity Module (SIM) cards, which is a common requirement in emerging markets.